Trichup Capsule Provides the vital nutrients thereby nourishing the hair from within and controlling hair fall. Its nourishment makes the hair healthy, long and strong. Trichup capsules an Ayurvedic formulation provides proteins, minerals and nutrients which ensure hair growth. Active ingredients like Bhringraj, Yashtimadhu, Hibiscus Flower and other potent herbal ingredients provide nourishment to hair follicles, controls hair fall, treats dandruff and give our hair a healthy and lustrous look. It is composed of the following ingredients: Bhringaraja, Brahmi, Yashtimadhu, Hibiscus flower,Til tail, Narikela tail, Coconut oil, Nimba, Neem, Nili, Musta. Trichup Natural Protein Shampoo, Trichup Nutri Shine Hair Serum, Hair oil and Tablet also available with us at best price. Bhringaraja the “king of herbs”is one the main ingredients and it is most beneficial for hair growth. 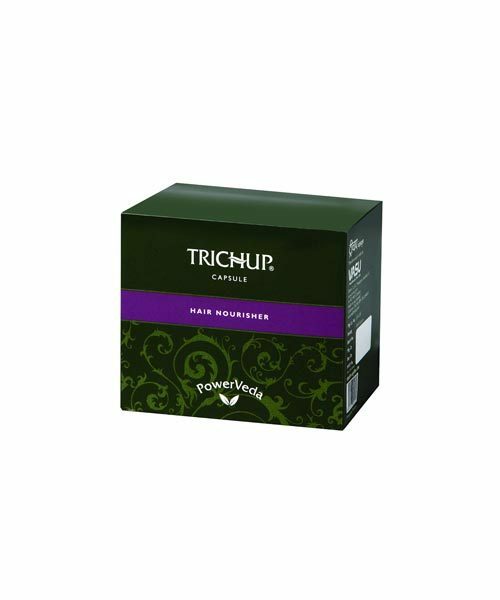 Trichup Capsule is also believed to naturally blacken the hair as it helps to increase the melanin content. Other ingredients in capsules complete the deficiency of proteins and minerals which are required for healthy hair growth. and help to overcome other hair related issues. It provides nourishment to the hair which encourages growth of new hair, checks hair fall and controls dandruff. 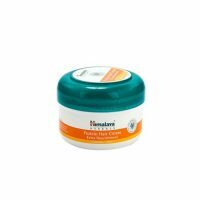 A dietary supplement which provides nutrition to the hair follicles thereby making them active and ensures healthy ,long and strong hair. The ingredients in the capsules prominently control hair fall. Helps prevent premature graying of hair, caused due to the deficiency of certain vital nutrients. It softens the dry and damaged hair giving them a healthier look. Trichup Capsule also controls dandruff, the root cause of all hair related problems.